You like the idea of a stackable rack that increases the flexibility of your warehouse shelving and saves space but you have reservations about extra parts that can be lost or damaged. How about a folding rack? We can make a portable rack that has all the advantages of a stackable bin but doesn't have removable posts that can disappear and make your movable racks unusable. You can't stack a stacker that doesn't have uprights. We have designed a fold down rack with posts that are easy to use and make our collapsible racks ergonomically safe. 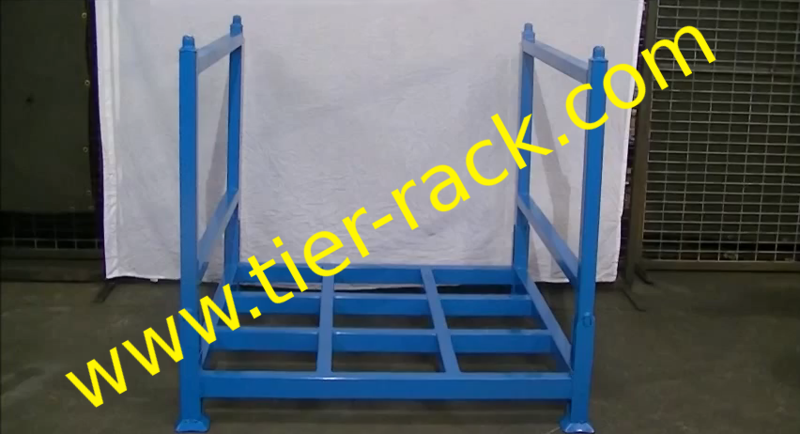 A collapsible rack also makes an ideal shipping rack. 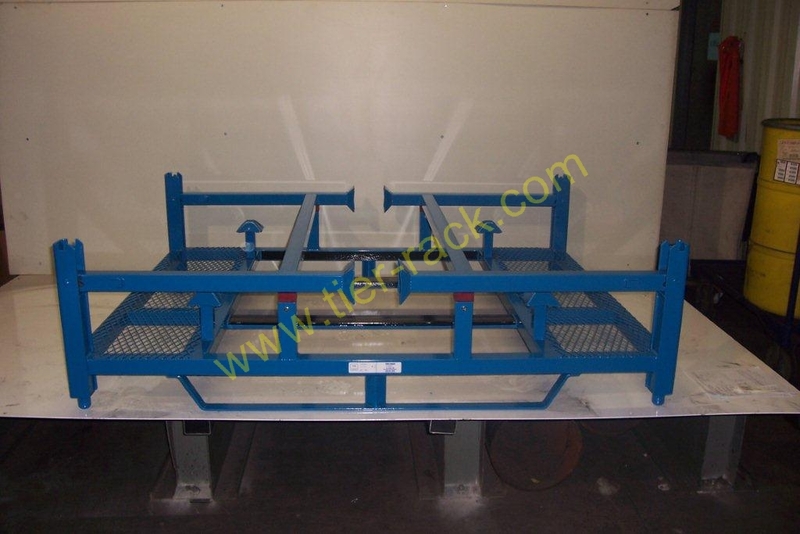 Use the folding racks to save space and facilitate loading and unloading your trucks when full but also to save space and minimize your costs for the return load of empty steel racks. 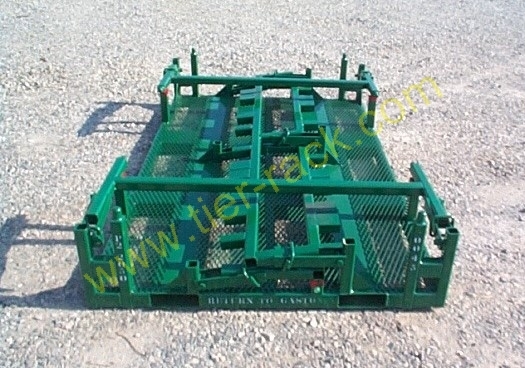 If you are storing smaller parts, we can provide a folding wire basket. 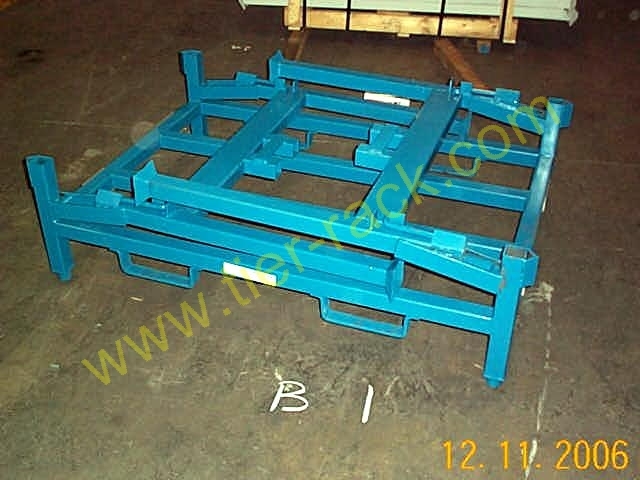 These folding wire baskets can also be stacked in the warehouse or on trucks and can carry heavy loads. Let us show how our years of experience manufacturing metal returnable racks can provide you with custom returnables at a very affordable price. We buy steel tubing directly from the tube mills in truckload quantities. Then our talented and efficient teams in our low overhead production facilities transform the steel tubing into high quality fold rack that have been designed to meet your needs. 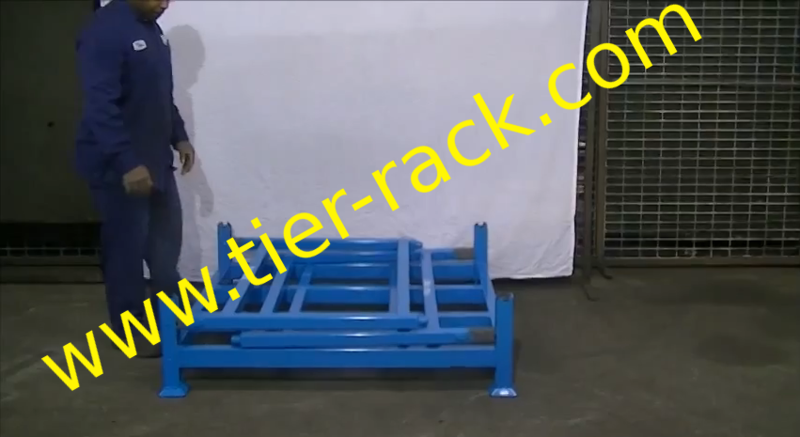 Give us a chance to prove to you that nobody does it better than Tier-Rack Corp.! Whether you need 100,000 custom racks or 10 steel racks. 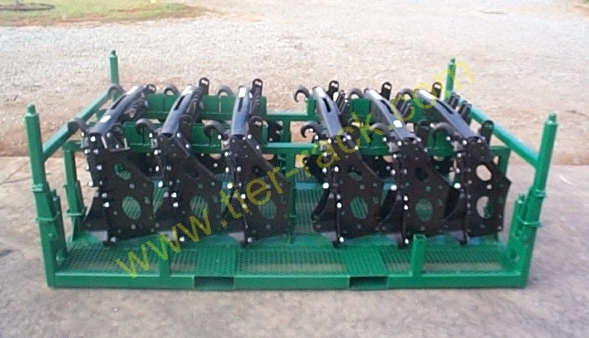 Tier-Rack is your best choice.